Just follow on screen instructions. Refer upgrading from Ubuntu 7.04 to 7.10 for more information. I’m just going to open full up 2mbps pipe for my desktop so it can pull all the upgrades quickly. 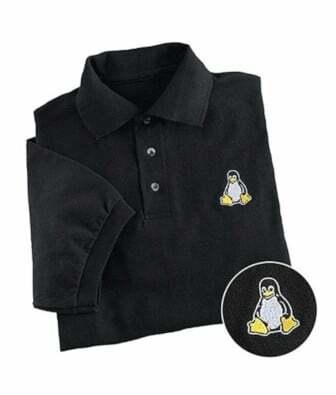 Sure many embedded hardware runs on Linux. 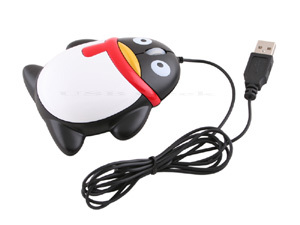 But check out ~ USB Penguin Mouse – a brand new mouse to trade in the boring old computer mouse you are using…. How to create your own Linux live CD easy way! A LiveCD is an operating system along with useful apps stored on a bootable CD-ROM / DVD disk. You can run complete operating system without installation on a hard disk. I often use Knoppix Live CD for troubleshooting, fixing computers and testing new hardware. Custom NimbleX 2 is now available for everybody. Even if now it is at Release Candidate stage this provides a much better way for generating a customised Free Linux OS based on NimbleX. The only requirements from the users are knowledge of English, a web browser (Firefox) and a CD for burning the ISO that was generated. => NimbleX project home page. 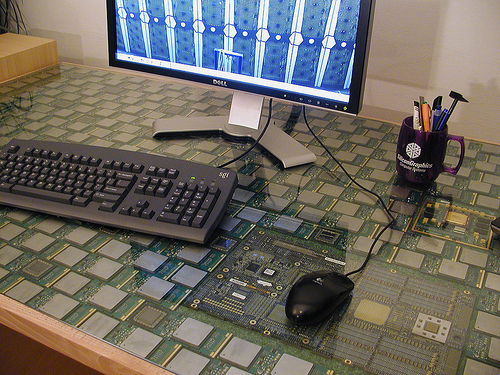 The coolest desk ever ~ there are 434 Madison 9M chips on the desk. The list price for the lot in 2006 was over US$800,000. The desk now contains about 2.8 TFLOPs of computing power. That’s about the same as 900 3.2GHz P4s.